Creating a healthy lifestyle is like putting on your oxygen mask on. When we take care of our basic needs we have so much more to give, making us better partners, better parents, better friends, better employees or employers, and just better human beings. Let’s start with breathing. Take a deep breath. Breathing is one way to calm our nervous system, reduce stress and restore clearer thinking. Meditation or breathing exercises that include slow deep breaths are like putting on an oxygen mask. Next to breathing, eating well and often enough are vital for your body. When we get too busy it’s easy to choose something quick to eat that may not be very good for the functioning of our body. Aim for more fruit, vegetables, whole grains, and remember to hydrate with plenty of water. For snacks, apples, pears and almonds are quick and easy to eat at home, when traveling, at work, or when out and about. Sleep is vital. In fact, it may be one of the most important things you could do for your body. Getting adequate sleep allows for regeneration, repair and healing of your cells. Sleep also affects your hormones that and regulate your body systems and everything from mood to weight. Without your oxygen mask on you can’t respond to an emergency, yet alone daily life. Did you know that half of all Americans who lose weight gain at least some of it back within a year, according to research published in the International Journal of Obesity. 1. Eating regularly, especially breakfast and eating moderately throughout the day, such as breakfast, lunch, dinner and one or two healthy snacks. 2. 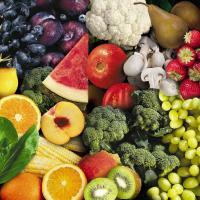 Consuming a variety of whole foods: fruit, vegetables, whole grains, beans, nuts and seeds. 3. Being aware of portions and serving sizes. 4. Weighing yourself once or twice a week or being mindful of how your clothes fit will allow you to know if you have gained a few pounds. Then you can go back to what works for you to lose the weight and maintain your weight loss. It can be difficult to want to eat healthier and not have the habits developed yet, so here are some suggestions to get you on your way. Choose one or two to practice this week. Start from where you are and ease into any changes gradually so that they will become lasting new habits. 1. Decrease portions of unhealthy foods as you develop a new healthy eating lifestyle. For example, eat one less slice of pizza than usual or don’t have seconds. 2. Add vegetables to what you already eat. Have vegetables washed, cut into pieces and ready to eat in the refrigerator. They will be easy to snack on with a dip like hummus or put into a salad. 3. Have a side salad with lunch and or dinner. 4. Plan your snacks, especially when on-the-go. Have a piece of fruit and a small handful of almonds or some raw vegetables. 5. Buy fresh fruit to eat daily when you want something sweet, for a snack or with a meal.